Everyone wants to take the perfect selfie—but not everyone comes to blows in their quest for that impeccable self-portrait. 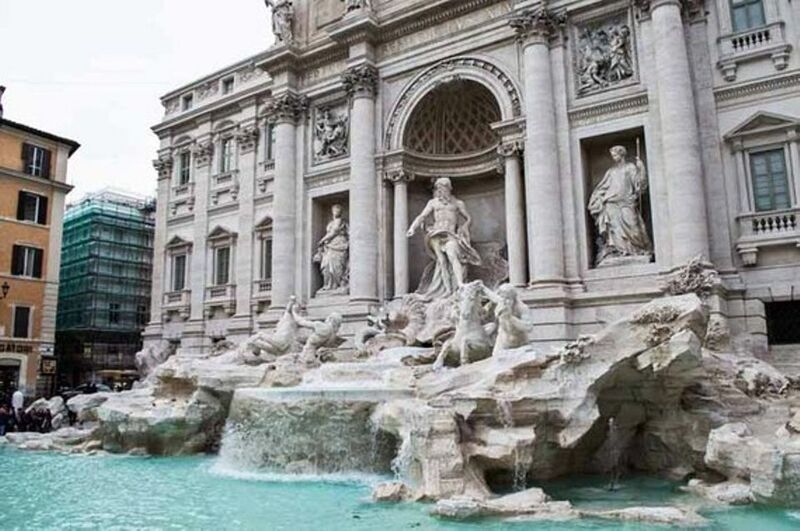 Punches were thrown apparently earlier this week when two tourists jostled for the best selfie spot at the Trevi Fountain in Rome, the famed late Baroque monument completed in 1762 that draws millions of visitors annually. Italian press reports say that a spat between a 19-year-old Dutch woman and a 44-year-old US woman escalated into a mass brawl after both began arguing over the prime position near the Roman landmark. “The two started to jostle and slap and punch, backed up by their family members who immediately joined the fight,” according to La Repubblica. Police quashed the conflict—but the fracas blew up again and more officers had to be drafted in to curb the selfie-fuelled disturbance.